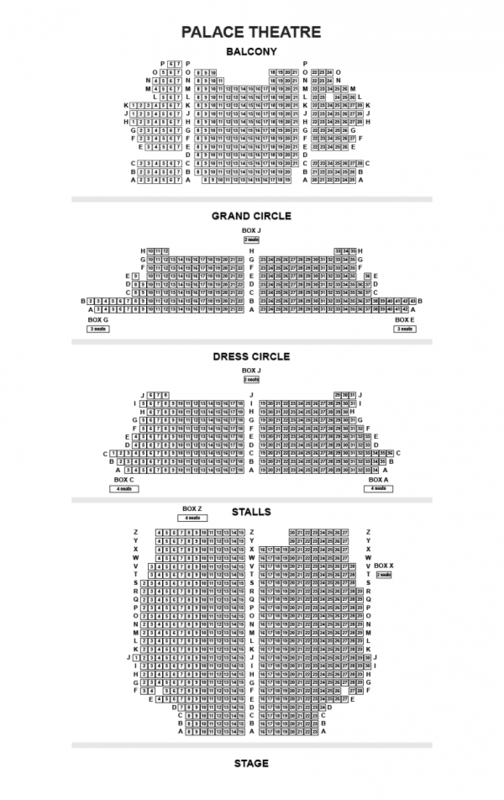 "A magic of its own"
Jack Thorne's Olivier Award-winning play Harry Potter and the Cursed Child plays to sold-out audiences at the West End's Palace Theatre, after originally premiering at the venue in Summer 2016. Based on an original story by Thorne and J.K Rowling, award-winning director John Tiffany leads the production. J.K. Rowling’s hugely successful Harry Potter series has sold over 450 million copies worldwide, with the latest in the series to follow-up what happens to the beloved characters 19 years later. Following Harry, who is now an employee at the Ministry of Magic, the play sees his son grapple with the family legacy and the darkness that it can bring. Reuniting the acclaimed creative team behind West End hit Let the Right One In, the play is directed by John Tiffany (The Glass Menagerie), with movement direction by Frantic Assembly's Steven Hoggett (Black Watch, Once), set design by Christine Jones, costume design by Gregg Barnes, lighting design by Neil Austin, sound design by Gareth Fry, video design by Fin Ross and Ash Woodward and special effects by Jeremy Chernick, with original compositions by Imogen Heap. Award-winning writer Jack Thorne has worked across stage and screen, with credits including The Fades, This Is England 88, Junkyard and Woyzeck. The 2017 Olivier Awards saw Harry Potter and the Cursed Child pick up several awards, including Best New Play for Jack Thorne and Best Director for John Tiffany. With the original cast scooping many Olivier Awards, the current cast features Jamie Ballard as Harry Potter, Susie Trayling as Ginny, Dominic Short as Albus Potter, Thomas Aldridge as Ron, Michelle Gayle as Hermione, Rayxia Ojo as Rose Granger-Weasley, James Howard as Draco Malfoy and Jonathan Case as Scorpius Malfoy. Harry Potter and the Cursed Child is produced by Sonia Friedman Productions, Colin Callender’s Playground Entertainment and Harry Potter Theatrical Productions and first opened at the Palace Theatre in Summer 2016. The production continues to play to sold-out audiences. Recommended for those aged 10 and up, Harry Potter and the Cursed Child is the ultimate theatrical treat, winning multiple awards and praise from audiences and critics alike.